In the morning of February 26, Assoc. 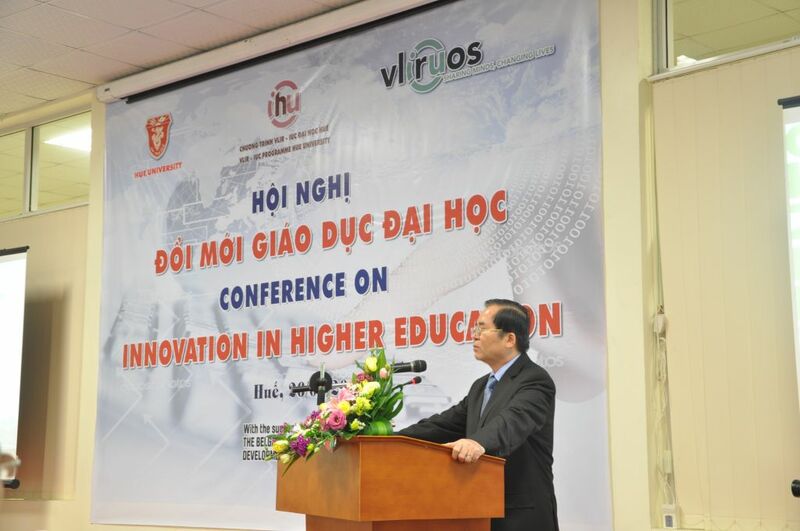 Prof. Nguyen Van Toan, Hue University President opened the conference on Innovation in Higher Education in the framework of the project on "Institutional Strengthening", one of 4 projects of the Institutional University Cooperation between Hue University and Flemish universities, Beligum (Hue University VLIR-IUC Program). The conference aimed to exchange experiences and acquire educational achievements through reports by professors, experienced managers in the fields of governance and higher education.